LOCATION! LOCATION! LOCATION.....This pristine Cape Cod has 3+ bedrooms, 2 full baths, dining area, hardwood floors. The kitchen, with appliances, is professionally updated as is the 1st floor bath. The 2nd floor has a bedroom and bonus room that could be a 4th bedroom + great closet space. The finished lower level has a family room, 5th bedroom, 2nd full bath and a spacious storage/laundry area. The exterior is maintenance free, fenced yard with spot for a garden, a lovely deck and detached 2 car garage with additional parking area. Conveniently located to schools, hospitals, restaurants, highways. A Home Trust Warranty is offered. Direction: Browns Ln to Street or Browns Ln to Pembroke to street. 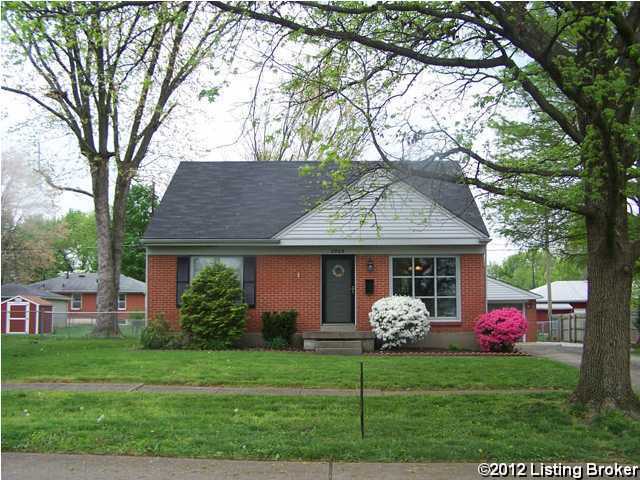 , Louisville KY 40220 is a Home, with 3 bedrooms which is recently sold, it has 2,114 sqft, 0 sized lot, and 2 Car Garage,Detached,Driveway,Entry Front parking. A comparable Condo, has 2 bedrooms and 2.5 baths, it was built in and is located at 315 El Conquistador Pl #315 Louisville KY 40220 and for sale by its owner at $ 77,000. This home is located in the city of Louisville , in zip code 40220, this Jefferson County Condo, it is in the EL CONQUISTADOR Subdivision, and Stony Brook Woods are nearby neighborhoods.